Winemaker Kevin Judd is considered the pioneer of the New Zealand wine industry. Born in England and trained in Australia, Kevin moved to New Zealand and became the founding winemaker at Cloudy Bay in the early 1980’s. Over the 25 years he made wine at this iconic winery, he paved the way for New Zealand to become a world renown wine region, with their flagship Sauvignon Blanc grape producing internationally unique and bold wines. Now, he makes wines for other smaller wineries as well as has his own, Greywacke. Here, Judd focuses on Sauvignon Blanc, but he also produces Chardonnay, Riesling, Pinot Gris and Pinot Noir. 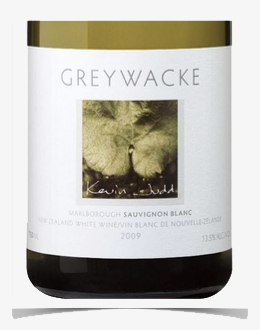 The winery name refers to hard gray colored sandstone – “wacke” – found everywhere in New Zealand.